Stephenson will come off the bench Thursday night against Golden State. Stephenson will start in Sunday's game against the Pelicans, Mike Trudell of the Lakers' official site reports. Stephenson compiled 14 points (5-9 FG, 3-5 3Pt, 1-2 FT), and 13 rebounds in 29 minutes during Friday's 129-115 victory over Charlotte. 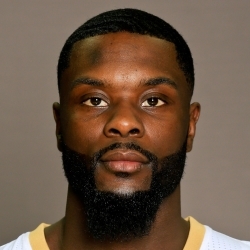 Stephenson finished with 10 points (3-11 FG, 1-4 3Pt, 3-4 FT), five assists, two rebounds, and two steals in 30 minutes during Wednesday's 115-100 loss to Utah.